The Fort Smith Soldiers were a minor league baseball team based in Fort Smith, AR from 1907-1909. 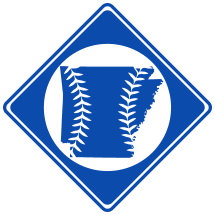 The team competed in the Oklahoma-Arkansas-Kansas League in 1907 and the Arkansas State League in 1909. Fort Smith dropped out of the Oklahoma-Arkansas-Kansas league in August, 1907 (1). This was partly as a result of Fort Smith's inability to play home games on Sunday (2).